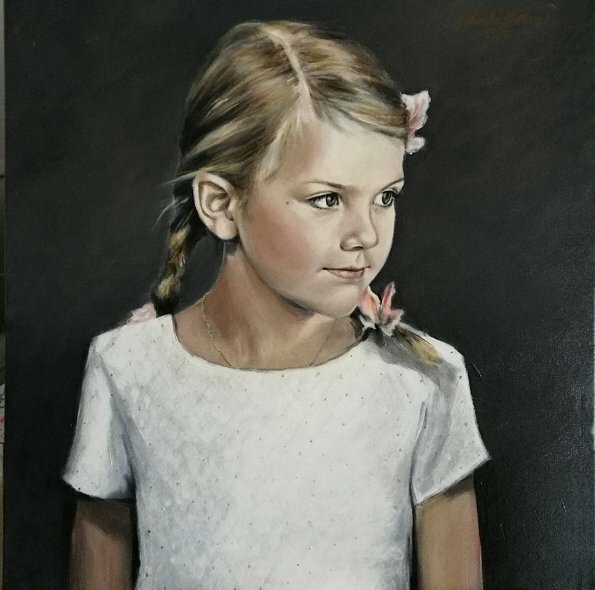 Talented artist Gabriella Norum shared on her Instagram account a portrait of Swedish Princess Estelle made on canvas with acrylic paint. (Artist Gabriella Norum who is living in Stockholm creates extraordinary, real-like, made-to-order portraits on canvas with acrylic paint, oil paint, pencil or ink). Agree. Beautiful painting. Mix of Victoria and Estelle facial expressions. She looks very much like her mother in this portrait. Beautiful. Captures Estelle's charm and also some of her intensity. How I wish that this artist had painted Catherine instead of Ensley. I do agree that the artist has captured Estelle's character very well. I think this portrait captured Estelle´s curiosity to life very well. What a great portrait!! That look of curiosity and oh! so intense. Little Estelle is gorgeous and so is this painting!